"The Adventures of Dollie" is a short crime drama directed by D.W. Griffith, featuring Arthur V. Johnson, a star of Silent Hall of Fame. This is the very first film directed by D.W. Griffith, who later became known as "The father of film". We are lucky that this film survives and we can see his very beginnings as a master filmmaker. In this film he already shows a flare for the dramatic, something he perfected in his more than 500 works. Arthur V. Johnson enjoys a nice day with his family when trouble occurs. A gypsy tries to sell a basket to Arthur's wife. She is not interested, but the man keeps annoying her, which prompts the intervention of Arthur, who defends his family and drives the man away. The gypsy returns later and kidnaps Arthur's little girl. Arthur V. Johnson gives chase, but his daughter cannot be found. 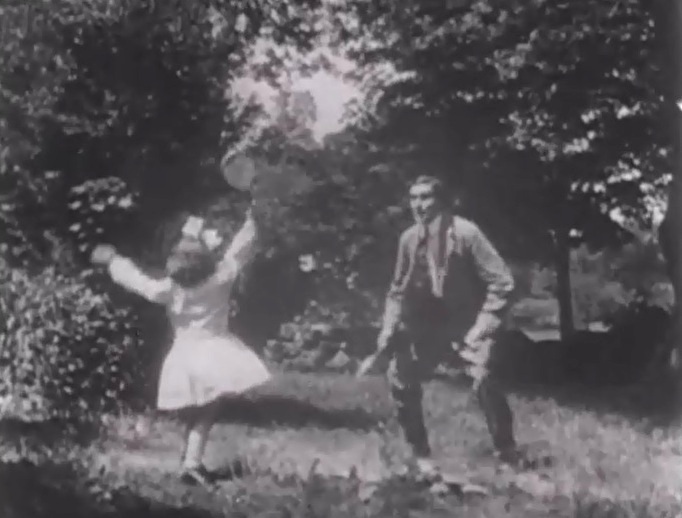 Arthur Johnson enjoys a nice day with his family in "The Adventures of Dollie" (1908), director D.W. Griffith. 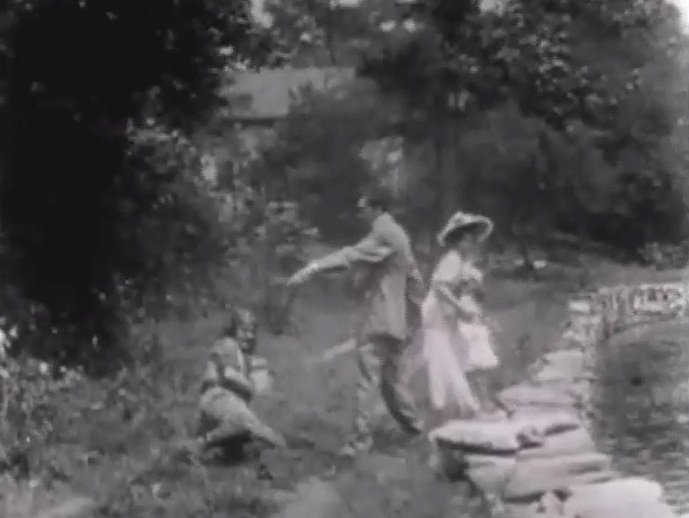 Arthur Johnson defends his family in "The Adventures of Dollie" (1908), director D.W. Griffith. 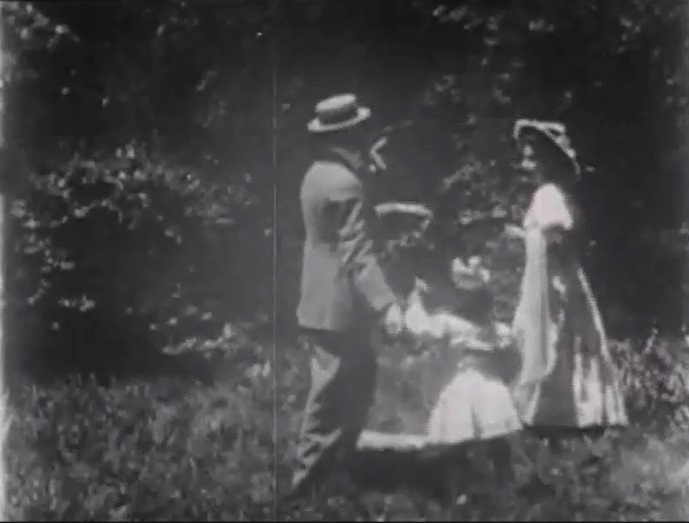 Arthur Johnson's daughter is kidnapped in "The Adventures of Dollie" (1908), director D.W. Griffith. 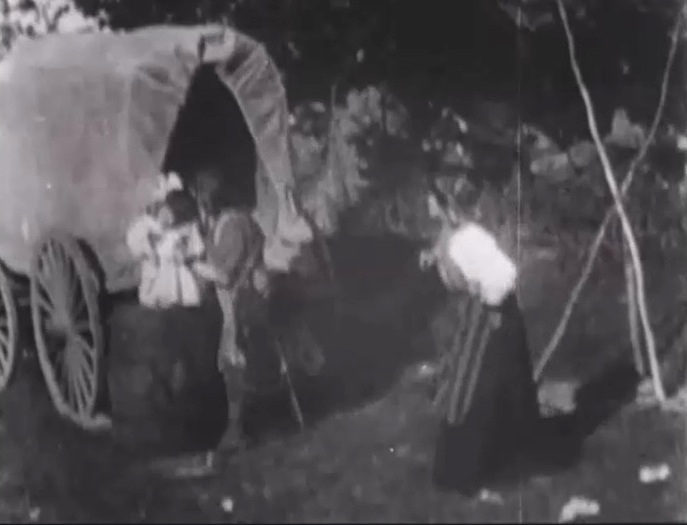 Arthur Johnson's daughter is hidden in a barrel in "The Adventures of Dollie" (1908), director D.W. Griffith. The barrel falls off the cart in "The Adventures of Dollie" (1908), director D.W. Griffith. 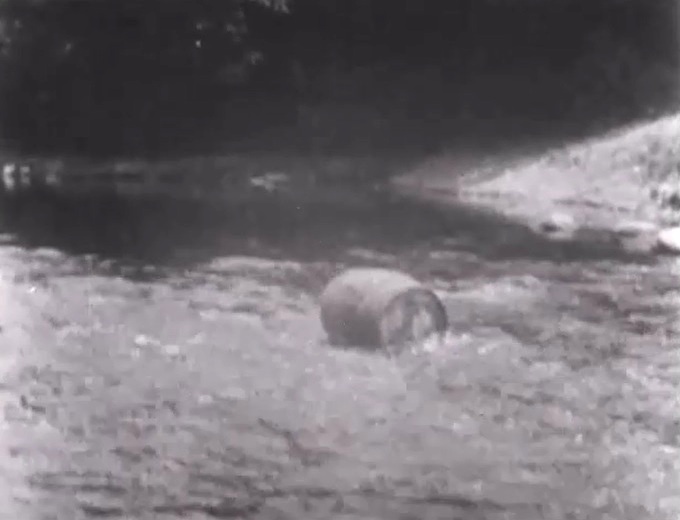 The barrel floats towards the falls in "The Adventures of Dollie" (1908), director D.W. Griffith.